Please leave the name you would like added on the ornament. 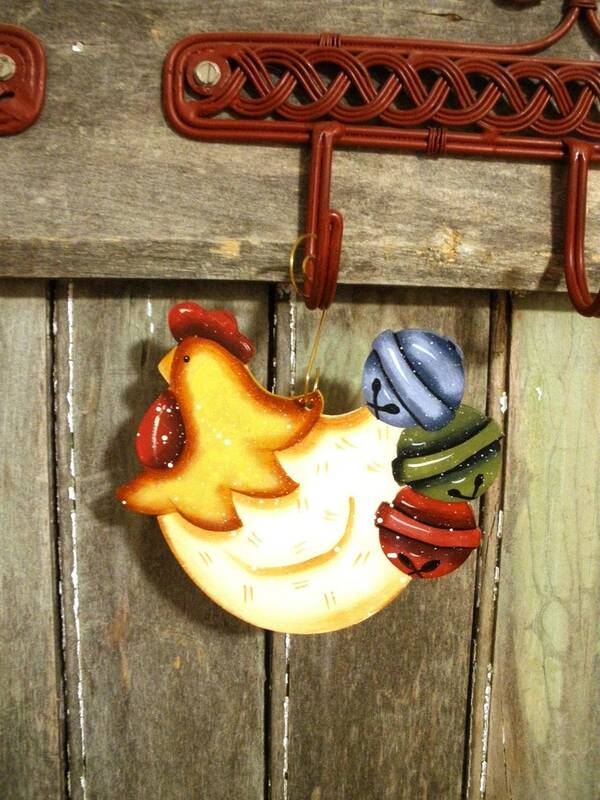 Hand painted by me, this chicken has bells on her tail feathers. Each ornament is hand painted on one side and the other is painted one colour. Bells are blue, green and red. 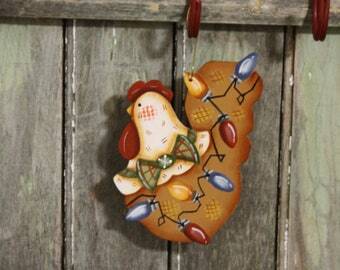 The wood ornament is painted with water based acrylics and is coated with water based varnish. A metal hanger is included. Designer: Cyndi Combs holds copyright.